Given marching orders to keep the “Buell spirit” alive in the new v-twin machine, Edda has certainly given the CR an edgier look over the original, building on the Buell love-it-or-leave-it design philosophy. While the hard parts seem to remain the same, you can definitely see where the 1190RS gets its subframe inspiration from, with the two bikes apparently using the same billet aluminum trellis framework. 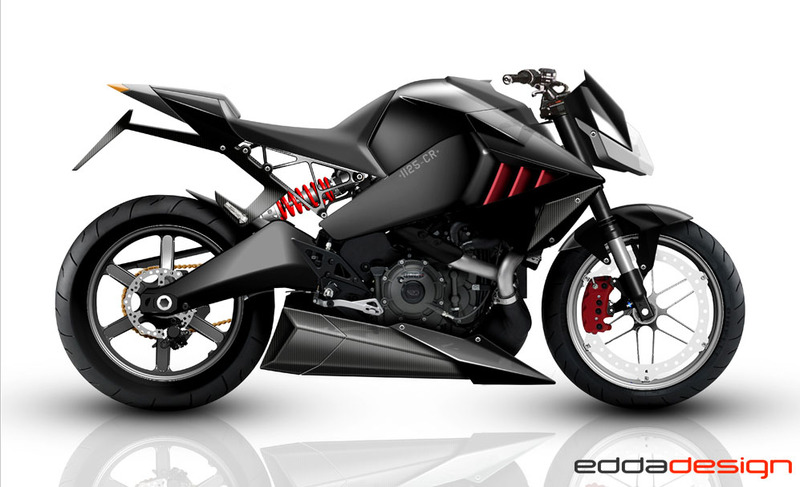 The massive exhaust and carbon belly pan, slung under the motor in classic Buell fashion, mirrors the point that the tail section comes to, offsetting the lines and making a perceptual “Z” between the tail, frame, and exhaust/lower body panel. 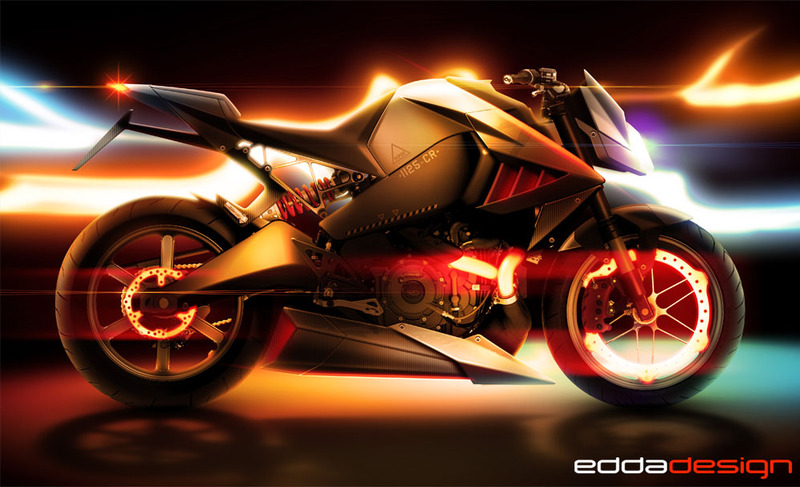 The design still leaves a bit to be desired in some aspects, but if this was an early concept before Harley-Davidson gave Buell the axe, you can imagine how the watered down corporate version would look…and we like that thought. Big hat tip to John Adamo for the lead!